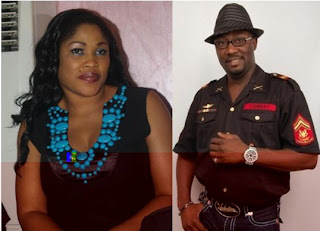 The media was agog weeks back when sultry actress Bisi Ibidapo Obe opened up to E24/7 magazine that she was put in the family way by former Kogi lawmaker, Dino Melaye. Although, the controversial lawmaker rubbish her claims that he impregnated her, but he fails to confirm or deny if indeed there was ever a "closed door" affair between them that could lead to pregnancy. Since the news broke out, shocked Nigerians are yet to come to terms with the development. Several concerned people have been reacting and expressing their opinions in positive and negative ways. 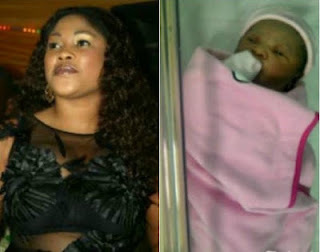 The last may not have been heard about the whole brouhaha as news just filtering in revealed that Bisi has welcomed a baby girl this morning, Friday, November 30, 2012 at Reddington Hospital, in Lagos. Mother and child, we learnt are in great condition. Close sources who confided in us revealed that Miss. Bisi is still standing on her ground, insisting that the activist is the father of new born baby and she’s calling for a DNA test to prove her claim.